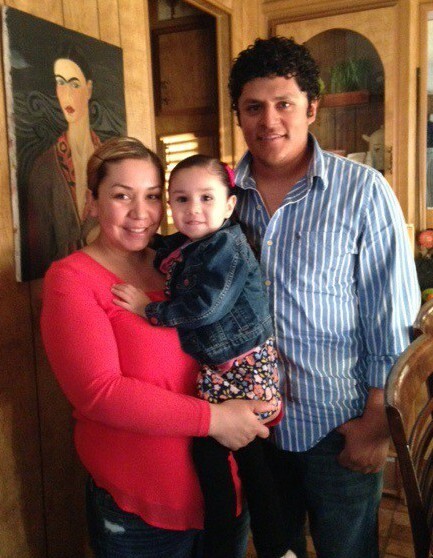 Aurelio, Elizabeth, and Zoey (3) have lived in a mobile home rental for the past two years. It is very old and the landlord allows it to be in perpetual disrepair. Part of Aurelio and Elizabeth’s bedroom floor is caving in, and the ground beneath is closing in. The roof leaks, the home is always damp, and there is a problem with mold, causing painful sties to form on little Zoey’s eyes. more stability for his family. Although he is making strides in his career, the reality is that he and Elizabeth would never be able to purchase a home without the opportunity that Habitat for Humanity can provide. The Munoz Family is looking forward to truly thriving in their new home. Zoey will have a backyard to play with her beloved Barbies, and the space to grow up healthy and happy. Their new home was built during the Home Builders Blitz, and they are looking forward to completing their sweat equity and moving in! Next How Do Habitat Partner Families Qualify, Anyway?